For interesting ideas and tips on how to add some instant style to your home's interior, exterior, or wedding decor; the Decorating Diva makes stylish looks ultra achievable to all - enjoy! 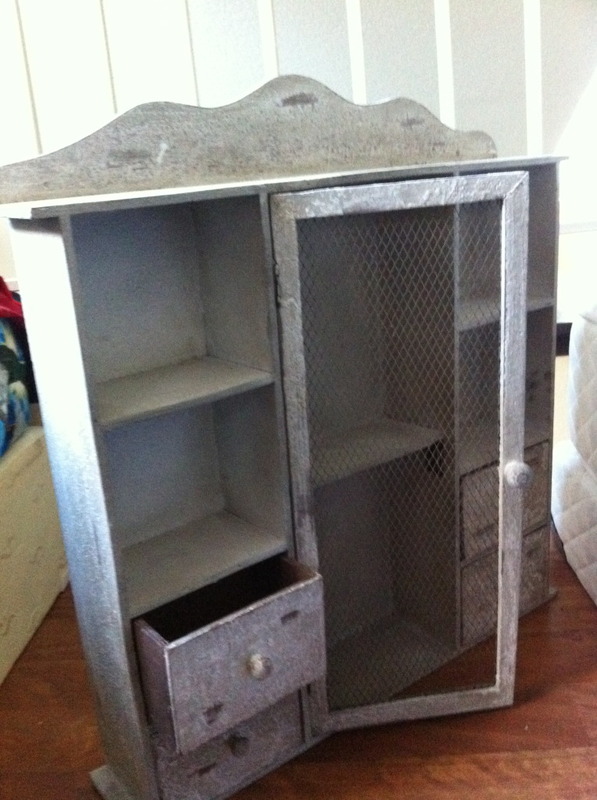 So how do you create beautiful DIY painted furniture in the shabby chic style? 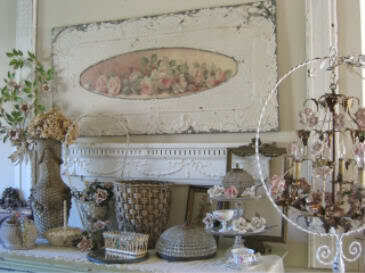 Almost any item of furniture can be given the shabby chic treatment, no matter what its state of repair. In fact if it's already considered "junk" then all the better. Or if it's a modern, boxy bookcase, that you want to add a bit of personality to, then the shabby chic style is for you too. Like any DIY project, painting furniture shabby chic style requires some preparation, if you are to get the best results. If your item of furniture has a finish on it (varnish or paint), then you may need to remove this before any shabby chic painting can begin. Strip the finish off, and sand down with a fine grade sandpaper. If you want to retain the existing finish as your underpainting, test your new paint on a small area and leave to dry. If the paint flakes off then, you will definitely need to remove this finish, if not, then give it a quick sand and proceed to the next stage. If the piece of furniture is raw, then a light sanding will be all that's needed just to achieve a smooth finish. Shabby chic style paint colors for furniture are muted, natural colors, which should be considered when choosing your paint color. Whilst the top coat used for overpainting is usually a cream color, blue and violet are also used, but this is obviously your choice. As long as your paint color is towards the more "pastel" area of the color wheel, then your only other consideration is how it will match with the base coat used for underpainting. 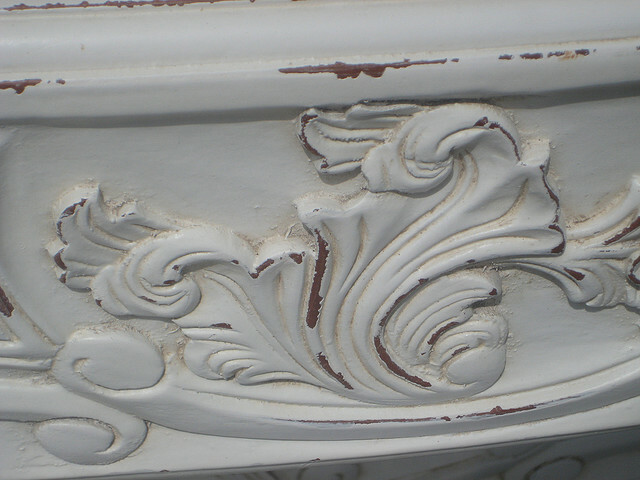 Good colors to use for underpainting shabby chic furniture are: grey, pink, sage, baby blue, lemon yellow, or try something a little darker like brown, charcoal, or ochre, just as long as the shade isn't too vibrant - red would be a definite no-no. Paint furniture using your chosen basecoat and allow to dry. Overpaint this basecoat with your topcoat. Immediately begin to wipe off some areas of the topcoat, allowing the basecoat to peep through - just think where the piece of furniture would naturally succumb to wear during use. 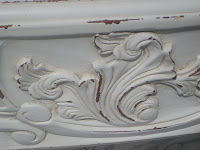 When the whole piece is dry, sandpaper down these "worn" areas, altering the pressure in different places, allowing the basecoat to show through in some areas, and in others sand right down to the wood, to reveal details in the shabby chic furniture. Complete with a light coat of wax stain, in a golden color, to add a more faux aged effect to your cabinet, or piece of furniture. Allow the wax to sink in to certain areas, and wipe it off in others. If your piece of furniture is likely to get scratched (table, or dresser), then you might want to seal the finished piece with a non-yellowing varnish. The beauty of DIY painted furniture shabby chic style is that it can't really be done wrong. In fact, added flaws will only add to its character in creating a more realistic vintage-effect piece. The trick is to bring out the beauty beneath the surface - tres chic! May not be reproduced in whole or part without permission from Wendy Finn. Awesome Inc. theme. Theme images by Ollustrator. Powered by Blogger.